Every week I see animal attack incidents. Many are dog bite reports, and earlier this week there was a pet chimp attack, but the one that made me shake my head was this story about the python attack on a 3-year-old toddler in Las Vegas. The parents have been in court facing felony charges for child endangerment, neglect, and abuse. The arrests contrast with how authorities dealt with previous animal attack cases, notably two last year in which pit bulls fatally mauled two young children. No one was charged in those cases because prosecutors felt they could not prove that the children were intentionally placed in harm’s way, as the state statutes require. Clark County District Attorney David Roger said this case is different, partly because it involves a snake. “We felt that under the circumstances, because the cage was in disrepair and because a python seems to be an inherently dangerous pet, that the abuse and neglect statute applied,” Roger said. Granted, most people don’t have an 18 foot python in their home–most professionals I know work with multiple handlers for snakes that big. Snakes are also notorious escape artists–so having a secondary boundary to prevent escapes is a good idea. Locks, sturdy enclosures, and a secured room are just some strategies for safe confinement. 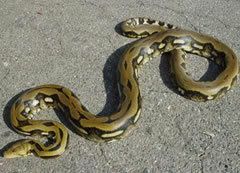 Now Reticulated Pythons (at least those I have worked with) tend to have hotter (nastier) temperaments than some of the other species I’ve handled–but what irks me even more about this story is that I believe that both domestic and exotic animals pose risks so they all are inherently dangerous pets. The problem is that people expect more risk with exotics but people also dismiss the risks that domestic animals pose. 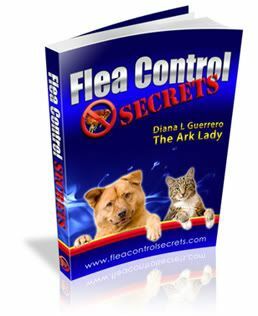 This is despite the numerous domestic animal attacks and incidents that occur on a regular basis…plus the many don’t even get reported unless they require a trip to the emergency room or doctor. The problem is that people do not use due diligence in supervising pets and so incidents happen on a daily basis because of it. If you have a child and a pet in the household they should NEVER be left unattended because that is when accidents happen. So what is up with Las Vegas anyway? The Burmese incident happened last September–guess nobody paid attention. It’s a shame that what we consider the “higher” species sometimes behaves like the lowest of the lowest when it comes to common sense. That’s one of the reasons we are strong supporters of any proposals that require this species (humans) take responsible parenting classes when deciding to guide the life of another species (pets). These are great links and definitely worth keeping as favorites! Thanks for stopping by again Karina. I agree about the classes and hope to get the online school up and running this year! This is crazy! I have several very large burms and several very large retics. My largest currently 15ft. I have 3 children 7 yrs old and younger. It is not dangerous to have these animals as long as you house them properly. I have large roomy enclosures with Lexan windows. The doors each have two bolt latches and a paddlock. Its more to keep the kids out than anything. My snakes are also kept in a seperate room that is locked. My kids do handle snakes regularly, and only under strict supervision. Mainly they handle kingsnakes. The large burms and retics tdo not even come out of the enclosures unless the kids are sleeping in their rooms. I am overly cautious with these large beautiful animals. I know the damage they can do. That parent should be jailed for child neglegence and animal crulty. The child should not have been alone in a room with a snake that large. and animal crulty for not housing the snake in a properly secured enclosure. Kimberly: Thanks for your input and I am glad that you are a good example of proper care and handling of large snakes. If more people were careful with animals of any type (wild or domestic) we would not have these types of stories.